“President Trump is facing a full-blown coup d’état, sooner or later. row. Should Trump act prematurely, his success will be put in jeopardy. For those who are unaware, the Trump administration has been the target of a slow motion coup d’état sometimes referred to as the Purple Revolution. Most of the leaders of this stealthy insurrection are unknown and working deep within the U.S. Intelligence Community. Others, such as former CIA Director John Brennan, former Director of National Intelligence James Clapper, former Director of the National Security Agency, Principal Deputy Director of National Intelligence, and Director of the Central Intelligence Agency Michael Hayden, as well as former CIA Deputy Director and Acting Director Michael Morell are highly visible leaders of the coup faction. However, it is the countless agents of Deep State who populate the Zio-Anglo-American Intelligence Community that pose the real problem. In this regard, it’s virtually impossible to determine who is really serving the POTUS, and who is working against him. Because the U.S. intelligence agencies have been systematically ponerized since day one by the C.I.A., who and what is not effectively owned and operated by The Company, as it’s known by spooks everywhere. Inasmuch as the C.I.A. 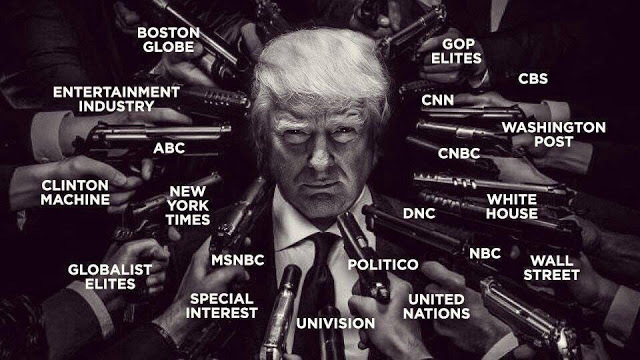 completely controls the Mainstream Media (MSM), they have conscripted all of the largest news outlets to attack Trump 24/7. Likewise, the C.I.A. has enlisted the aid of every major globalist organization in the world to take down Trump. You name them: the Council on Foreign Relations, the Bilderberg Group and the Trilateral Commission. The Committee of 300, The Royal Institute of International Affairs and the United Nations. The reality is that the full weight of the all-powerful Round Table is stacked heavily against the Trump Administration. Add to the truncated list of power-players above all the secret societies and think tanks, NGOs (esp. Soros-funded) and Fortune 500 Companies, and the challenges become even more formidable. Particularly when you consider the pervasive influence of Silicon Valley and Hollywood that is squarely aimed against him, does Trump’s predicament come into sharp relief. However, in order to decisively take down the Deep State and terminate the Central Intelligence Agency, Trump will have to think through every single part of what will have to be a perfectly controlled demolition. This can only be achieved by utilizing all 5 branches of the U.S. Armed Forces. Why have there been no arrests? Many throughout the truth movement (and especially the Trump movement) have questioned the lack of arrests of known traitors. Everyone now knows who has committed acts of naked treason against the American Republic. And, yet, no one has been taken into custody or even indicted. Many are also aware of the horrific crimes being committed regularly against our children by the same bad actors. And in Washington, DC, no less! Any such move – mass arrest of the traitors – can only be conducted when “everything is in good order” since it will immediately precipitate a severe reaction from Deep State. Their (TPTB) predictable and overwhelming self-protective response could range from anything to anything. Yeah, that’s just how volatile and precarious this situation has become, and it’s rapidly intensifying by the week. The practical reality is that the longer that Trump is in the Oval Office, the more time he has to acquire the necessary intelligence on every single conspirator who is participating in the Purple Revolution, past and present. With this vital data, he is able to simultaneously arrest all the plotters and decision-makers, as well as the numerous insurrectionists on the ground and their mid-level handlers. The entire Democratic Party (especially the DNC); the Soroses, Clintons, Obamas, Bidens and Podestas; the sultans of Silicon Valley; the Hollywood moguls; the East Coast intelligentsia; the MSM organs of propaganda; as well as many rogue elements in the C.I.A. basically pushed this situation beyond the point of no return. All of these collaborators have worked assiduously to cultivate an environment of “Us versus Them”— nationwide. By perfecting the dark arts of identity politics and the cult of personality (e.g. Obama and Hillary), they succeeded in dividing the body politic as never before. The myriad social justice warriors have likewise exploited the vulnerable demographics to the point where the various wedge issues forever divide the American people. As a result, there appears to be no common ground to stand on anymore and, therefore, no space for reconciliation. The grim reality is that the nation now finds itself in the midst of a civil war. Very few are aware of the gravity of the current state of affairs, but that’s where we really are. The cold phase always pre-dates the hot one. Nonetheless, if bold measures are not taken with all deliberate speed when necessary, there will soon come a time when the hot phase will rear its ugly head. The truth be told, the Las Vegas mass shooting was actually a stealth attack on the patriot movement by the Left. Country & Western music festivals are basically congregations for the Right. Those Route 91 HARVEST concert-goers were ambushed in cold blood. For the good of the Republic, President Trump will be compelled to take action against the many traitors throughout the U.S. Federal Government, state governments and municipal governments. Whenever the barbarians are already inside the gate as they are now, there is only one alternative; they must be exposed and prosecuted for their crimes against the American people. Toward that end, Trump will be required to shut down the existing MSM (and take them over) among implementing several other radical initiatives which deny support (both material and moral) to the seditious criminal activity of these Bolsheviks. There is no other way to tame a Bolshevik than to bust them upside the head with a four by four. That’s the only language they understand, as Black Lives Matter and AntiFa have clearly demonstrated. The liberals have become ultra-liberal, the lefties have transformed into left-wing extremists, and progressives have morphed into hyper-progressivism so that there is no more middle ground—anywhere. Those blue states that have Democrat-dominated statehouses, and big cities with Democratic mayors and city councils, provide graphic examples of where things have gone. When the once great state of California has gone to hell in a handbasket, you know the writing is on the wall for the United States of America…unless the inexorable advancement of Cultural Marxism is short-circuited post haste. Only the POTUS can do that in the manner required. Many have now come to their senses and understood that the USA is in serious trouble. The US government is totally dysfunctional, Corporate America is poised to experience a replay of the recent Great Recession, and civil society collapses by the day. All of these developments are directly due to the unrelenting promotion of Cultural Marxism by the power elite. They know that their place at the very top is secure when American society has sufficiently eroded, order has been replaced by chaos, and the economy is unstable. Trump’s most difficult challenge will be to ferret out those in positions of authority and influence who laud the nation’s incremental metamorphosis into a modern-day “Sodom and Gomorrah”. This extremely thorny and knotty obstacle alone appears to be insurmountable. And it just may be. Nevertheless, the only way through this period is to effectuate a sweeping change in leadership across the board. Only in this way can the Cultural Marxists be permanently removed from power. There is only one way that President Trump can push the button on a military solution. There must be a critical mass of law-abiding patriots who stand solidly behind him. Whereas the agents of Deep State still control and/or influence much of the national security apparatus, levers of government and judicial machinery after 8 years of Obama stacking the deck, the Right controls the land. The rural country of America is as red as Georgia red clay, so the food supply and its transportation (Trump truckers) are exclusively controlled by the Right. They also comprise a great majority of military, ex-military and militiamen, as well as the police and sheriffs most of whom are also gun owners and hunters. The crucial point is that, as Commander-in-Chief, Trump not only commands the Armed Forces directly, he also exerts much influence on those patriots who will show up for battle should it ever come to that. The C.I.A. apparently underestimated, to a great degree, just how much leverage the POTUS really has, specifically a populist president who is also a real nationalist. As they say in the Deep South, whoever has the biggest dog, wins the fight. And there ain’t a bigger DOG inside the Beltway than Donald J. Trump. Trump has two trump cards that he’s holding close to the vest. Each of them provides the one-two punch necessary to take down the NWO globalist cabal, both at home and abroad. Pizzagate will take down the Washington political establishment, corrupt Democrats and Republicans alike. Pedogate will overthrow the exceedingly powerful forces that are projected from London and Rome, Brussels and Paris, Tel Aviv and Riyadh. The almighty Black Nobility, in particular, will be weakened sufficiently so that Operation Gladio can be rendered ineffectual. Once this all-pervasive control mechanism — Pedogate — is completely dismantled, Presidents Trump and Putin will be able to jointly pursue the common goals they so desire. However, it is D.C.’s own Pizzagate that will give Trump the leverage required to demolish Deep State and “splinter the CIA into a thousand pieces and scatter it into the winds”. PEDOGATE: Pandora’s Box Has Been Opened for Deep State and the C.I.A. Perhaps the only legal context in which both Pizzagate and Pedogate can be prosecuted is the Uniform Code of Military Justice. That’s because the Criminal Justice System, and particularly the judiciary, are mainly made up of dyed-in-the-wool Democrats. Hence, the absolute necessity for military tribunals to be formed to handle the imperative prosecutions that will incarcerate the prime movers of the Purple Revolution. Subsequently, a national Truth and Reconciliation Commission can be established to judiciously process the multi-decade crime spree perpetrated by the wealthy and political elites on We the People. KEY POINT: Perhaps the Guantanamo Bay detention camp was really built for the many high-level American officials and politicians who have betrayed their country over decades. This is why the only solution for Team Trump is a military one. Those leaders, who have been relentlessly controlled and manipulated by way of Pizzagate and Pedogate, can only be incarcerated in tightly guarded military prison; otherwise, they will be murdered with great haste. The true perps behind the Pedogate control mechanism will stop at nothing to destroy the evidence, and especially to eliminate the witnesses. After all, the Clintons and Obamas, Bushes and Bidens are merely low-level and expendable pawns in a very dangerous and deadly game. 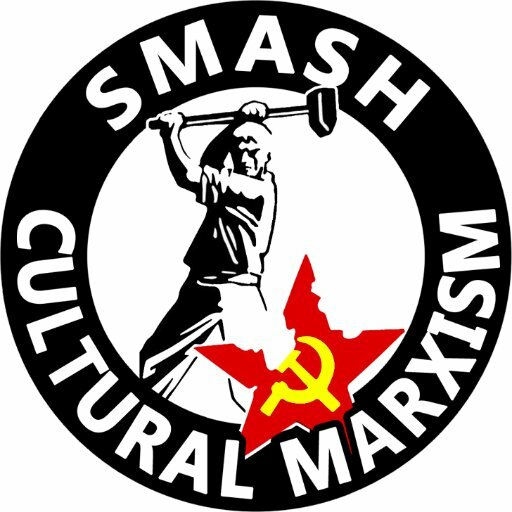 PEOPLE OF AMERICA: In the absence of a profound and fundamental transformation of American society, the USA will continue its descent into the abyss of Cultural Marxism. The cultural elites are hellbent on preserving their hard-fought “Sodom and Gomorrah”. They will not give up their utter depravity easily and will clutch it until their dying breath. Therefore, everyone is highly encouraged to do their part to resist the moral depredations which flow from Cultural Marxism—an inherently flawed and degrading philosophy of living. All that has to be done is to starve the BEAST. If you don’t feed it, it will die. *Permission is granted for reposting this article in full with a link back to the original SOTN post.